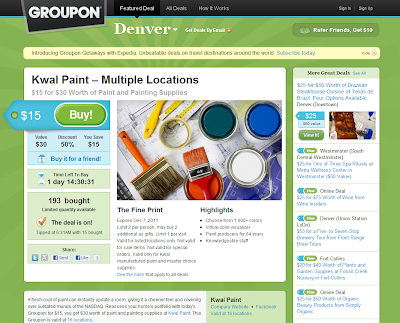 from the Khaki Pant Painting Co.
Kwal Paint Groupon Get 50% OFF! Comment as: Open ID to enter back link of your choice. Happy Holidays from the Khaki Pant Painting Co. Thanks for a great year! How says you can't paint in the snow?! All Information on this Site is the Property of the Khaki Pant Painting Company unless specified. Powered by Blogger.